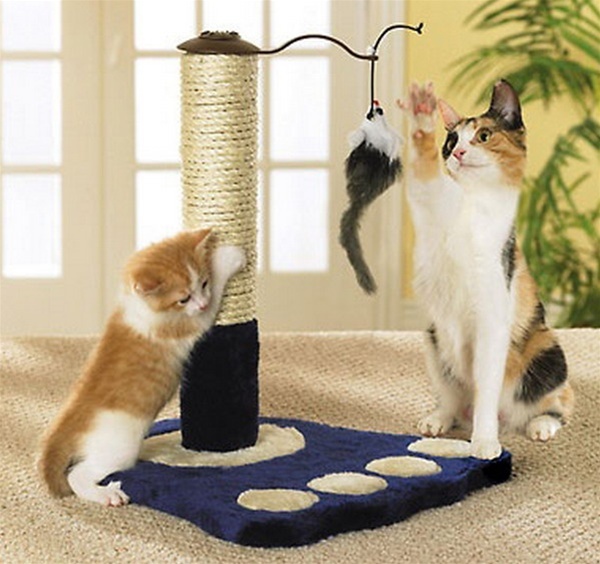 Keep your cat occupied with endless hours of interactive play. This kitty playstation features a carpeted base comfy enough for the occasional catnap, a scratching post and a dangling toy sure to capture any kitty's undivided attention. Assembly required. Crafted of wood and twine; imported. 14 1/4"L x 14"W x 16 1/2"H.
NEW SPINDLE PET BED Small Dog CUSHION INCLUDED 19" x14"